If you’re looking for a quick rundown on how to get your blog started, this post is for you! 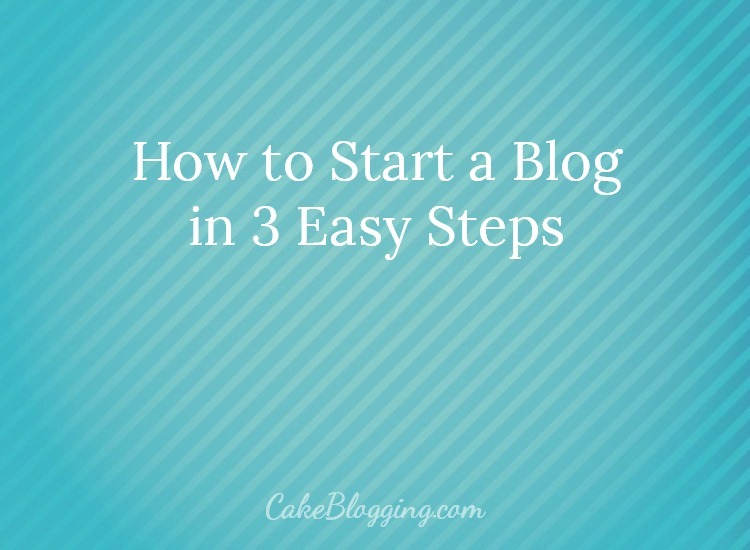 I’m going to share How to Start a Blog in 3 Easy Steps. These days, you can blog about anything… you house, your kids, your hobbies, your job… the sky is the limit. Your blog can also be an extension of your business and you can make money with it – which I love and what I do on Rose Bakes, at RoseAtwater.com, and here at CakeBlogging.com. Actually, over at Rose Bakes, I wrote an extensive post about How to Start a Food Blog & Make Money With It… if you’re interested! UPDATE: I also shared how I made almost $37,000 Blogging in 2015 – check that out HERE! But back to the reason I’m writing. That post had loads of information, but it doesn’t really break down, step-by-step, how to actually set it up, so I thought it might be helpful to to focus just on the starting part. 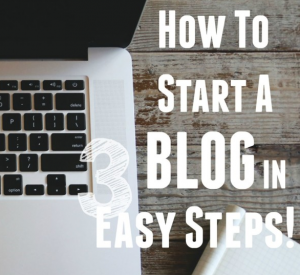 How to Start a Blog in 3 Easy Steps!! What are the 3 Easy Steps? 1. 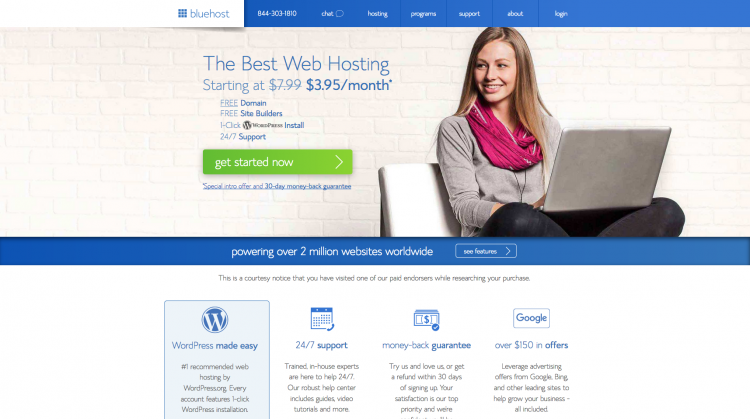 Choose a name and purchase hosting! 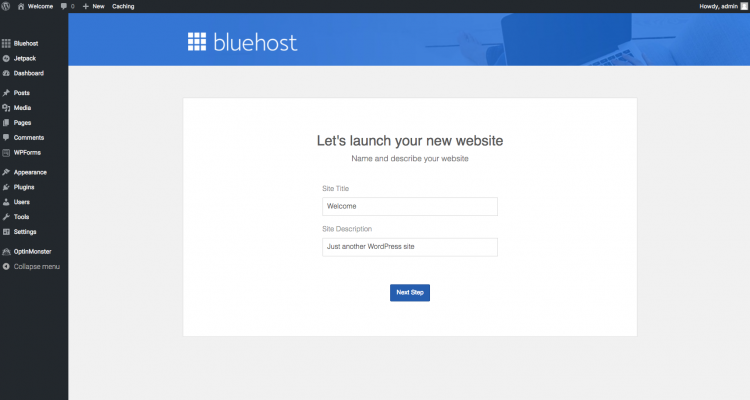 Step 1: Choose a name and purchase hosting! Choosing a name (also called your domain name) is one of the most important things you’ll do. It’s a pain to change later on and you want it to be good – to stick – and to represent you well. I considered using the word “cake” in my Rose Bakes title, but I knew I’d want to venture beyond cake, so I wanted a broader name. Baking fit well – which led me to choose RoseBakes.com. That is my “domain name”. Since the internet is wide open these days and there are thousands (if not millions) of websites, you may not get the first name you choose… so brainstorm and have options! You can use the widget below to see if your website name is available. OH – and I highly recommend using a “.com” suffix. There are successful blogs and websites with .net or .co or .me, but .com is still by and far the most widely used! On the next page, you’ll need to select a plan. 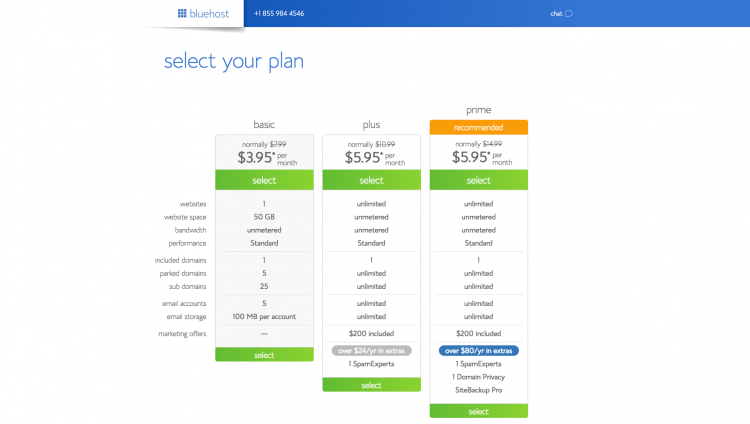 You can upgrade at any time and all plans include a domain name, so choosing the $3.95/month plan should be fine, but I really like that he “Plus” plan has so many freebies. Whichever you decide on, click the Green Select button to move to the next step. Enter the domain name you decided on in the box on the left. 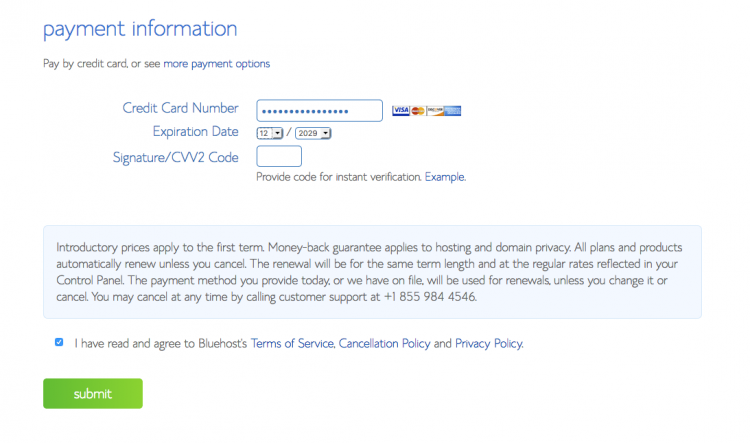 Be sure to select the correct extension (.com, .net, etc.) then click the Blue Next button. This next page is pretty self-explanatory… enter all of your personal information. 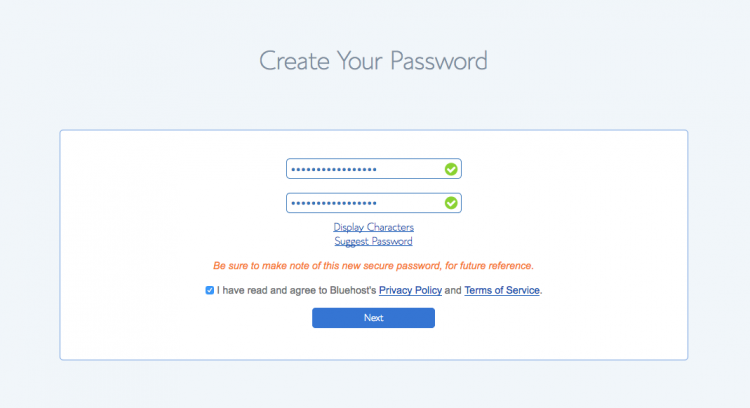 Be sure to use a good email address – your login information will be sent to you there! On this last page, you’ll need to choose a plan and how you want to be billed. You will be billed for a year at a time, but even with that, it’s still very affordable considering you’re about to own your own little space on the internet! I do buy (and recommend) the Domain Privacy Protection. It’s really inexpensive and it keeps your personal information private! 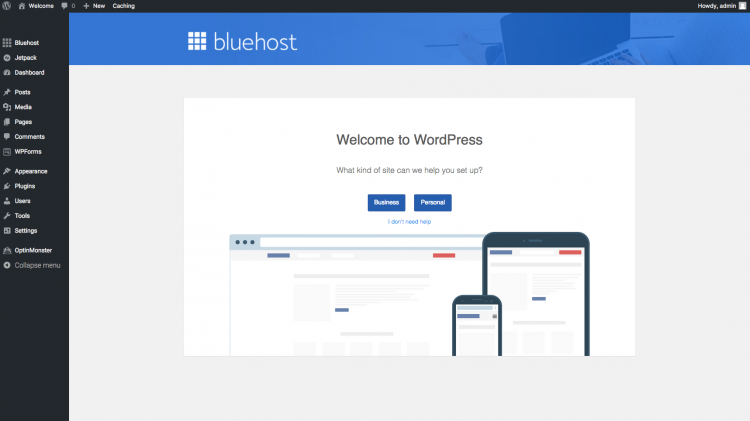 Now you get to choose a theme for your blog! This is how your pages will be layed out once you’re up and running! Then you’re ready to move to the next step! 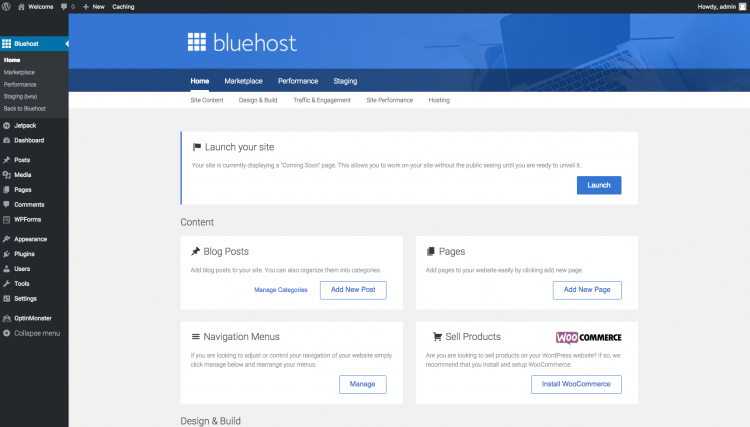 I won’t pretend to know all the nuts and bolts of this part, but Bluehost makes it easy. 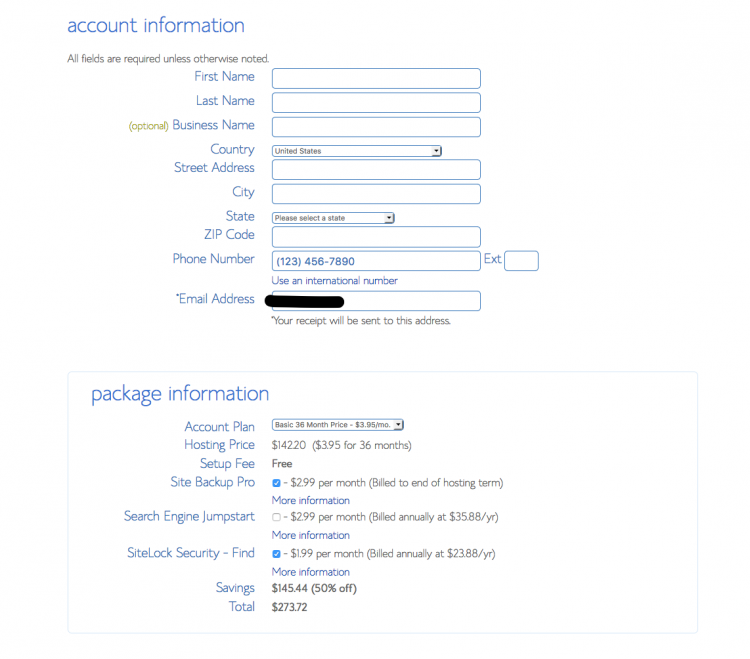 You’ll need to login (the login page looks like that above) to the Website Builder section and choose business or personal. From here you can start writing your posts, creating your pages, or setting up a store! At this point you may also want to skip to step 3 and get a designer to help you make it pretty!! Once you’re all set… then it’s time to launch! Step 3: Make it Pretty! Okay – this is the step that I really, really cannot help you with. I tried desperately to design and make my blog pretty and failed over and over again. I finally came to the conclusion that I needed help! My current design at RoseBakes.com was done by Five J’s Design. I also highly recommend Jumping Jax Designs. Or, if you want to try to design it yourself, I cannot say enough good things about Amy Lynn Andrews. She has oodles of information about everything related to blogging! 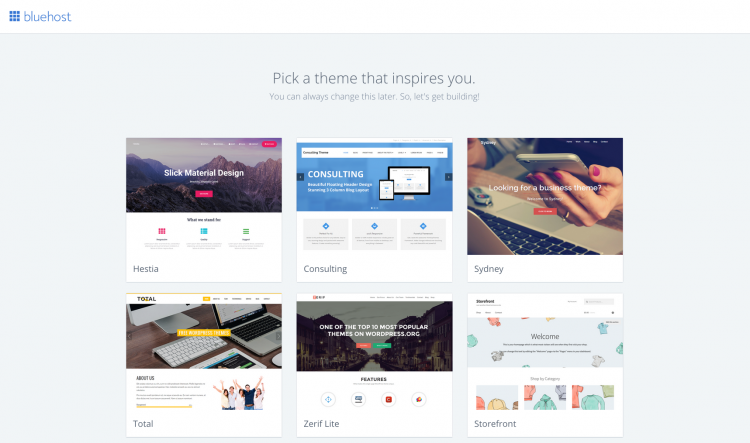 This post has some great information about choosing a theme and designing your site. 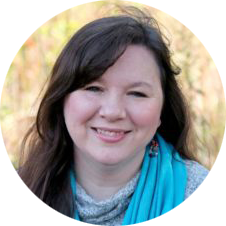 But I have to warn you: be careful if you click over to her site… if you’re really interested in learning the nuts and bolts of blogging, you could get caught up and read for days, always learning new things! Okay peeps – that’s all I’ve got for ya! If you have any questions, please leave a comment and if you want to read more about how I make money blogging, be sure to click and read THIS post! « 5 Days to a Successful Blog Launch – Only $7 for a limited time!